​Real Madrid boss Santiago Solari has confirmed that his side will fight for the La Liga title till the end following their 3-1 win over rivals ​Atletico Madrid in the derby on Saturday. Goals from Casemiro, Gareth Bale and skipper Sergio Ramos helped the Los Blancos cruise past their rivals on the night. The victory has ensured that the European giants have leapfrogged their rivals to second place in the La Liga table, with Madrid holding a one point lead with 23 games being played. 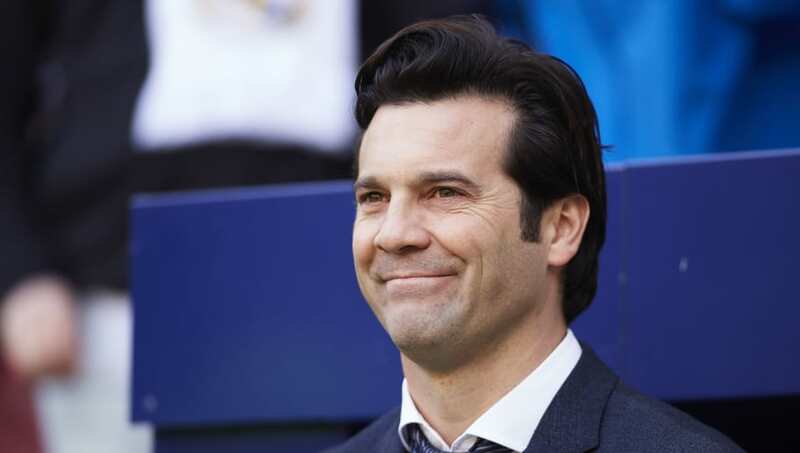 Despite Barcelona holding a five-point lead over them, Solari has claimed that they will not shy away from the challenge. “Real Madrid fight for everything until the end - it's not over, it's historic. Now we are second, but we have to keep going because I know that Atletico will keep fighting. They're a great team with a marvellous coach, now we have to keep this up and keep winning. We have our feet on the ground and know that we have to keep working," he said as ​quoted by Goal. The Los Blancos have undergone a resurgence of sorts in the past month or so, with the players responding to Solari’s methods and tactics on the pitch. They will next be seen in action on Wednesday, the 13th of February when they face Ajax in the first leg of the round of 16 fixture of the UEFA Champions League.